Posted above as a downloadable PDF file is an article about the relationship between Charles Fort and Theodore Dreiser that appeared in Fortean Times, a British publication, (Mike Dash, “Charles Fort and a Man Named Dreiser,” Fortean Times, no. 51, winter 1988/89, pp. 40–48). The article is not referenced in the entry on Fort in A Theodore Dreiser Encyclopedia. Born in Albany, NY of Dutch ancestry, Fort was an American writer and researcher who specialized in anomalous phenomena. See Roark Mulligan, “Fort, Charles” in A Theodore Dreiser Encyclopedia, edited by Keith Newlin, pp. 144-145. The Fortean Society was initiated at the Savoy-Plaza Hotel in New York City on 26 January 1931 by some of Fort’s friends, many of whom were significant writers such as Theodore Dreiser, Ben Hecht, Alexander Woollcott, and organized by fellow American writer Tiffany Thayer, half in earnest and half in the spirit of great good humor, like the works of Fort himself. The board of founders included Dreiser, Hecht, Booth Tarkington, Aaron Sussman, John Cowper Powys, the former editor of Puck Harry Leon Wilson, Woolcott and J. David Stern, publisher of the Philadelphia Record. Active members of the Fortean Society included journalist H.L. Mencken and prominent science fiction writers such as Eric Frank Russell and Damon Knight. 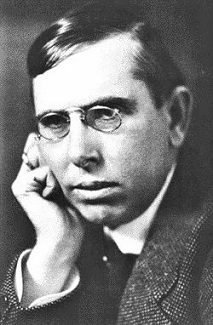 Fort, however, rejected the Society and refused the presidency, which went to his friend writer Theodore Dreiser; he was lured to its inaugural meeting by false telegrams. As a strict non-authoritarian, Fort refused to establish himself as an authority, and further objected on the grounds that those who would be attracted by such a grouping would be spiritualists, zealots, and those opposed to a science that rejected them; it would attract those who believed in their chosen phenomena: an attitude exactly contrary to Forteanism. Fort did hold unofficial meetings and had a long history of getting together informally with many of NYC’s literati such as Theodore Dreiser and Ben Hecht at their various apartments where they would talk, have a meal and then listen to brief reports. This entry was posted in biographical (including posts with fragmentary but potentially useful biographical information about Dreiser, his family, or associates), miscellaneous and tagged シオドア・ドライサー, シオドア・ドライザー, シオドー・ドライサー, シオドー・ドライザー, セオドア・ドライサー, セオドア・ドライザー, Charles Fort, Charles Fort and a Man Named Dreiser, Charles Fort and a Man Named Dreiser Fortean Times, Charles Hoy Fort, Fortean Society, Mike Dash, теодор драйзер, Theodore Dreiser on October 31, 2016 by Roger W. Smith. Posted here is a downloadable PDF file of an abridgment made by Stephen Stepanchev of his dissertation “Dreiser Among The Critics” (New York University, 1950). The abridgment is available at the New York Public Library. This entry was posted in criticism, dissertations and theses and tagged シオドア・ドライサー, シオドア・ドライザー, シオドー・ドライサー, シオドー・ドライザー, セオドア・ドライサー, セオドア・ドライザー, теодор драйзер, Stephen Stepanchev, Theodore Dreiser on October 31, 2016 by Roger W. Smith. Professor Jude Davies of The University of Winchester assumed the role of General Editor of The Dreiser Edition commencing with the publication of Dreiser’s The Titan: The Critical Edition in 2016. Prior to that, the General Editor was Thomas P. Riggio, now Textual and Managing Editor. The Dreiser Edition is a publishing venture which was begun by the University of Pennsylvania Press and the University of Indiana Press to publish scholarly editions of the complete works of Theodore Dreiser, including the novels of Dreiser as well as primary documents such as Dreiser’s autobiographical writings, diaries, travel writing, correspondence, articles, and interviews with Dreiser. The Dreiser Edition is sponsored by The University of Winchester, The University of Connecticut, and The University of Pennsylvania Library. With the publication of Dreiser’s novel The Titan in 2016, Winchester University Press has become The Dreiser Edition’s publisher. This entry was posted in bibliography/bibliographical, miscellaneous, The Dreiser Edition and tagged シオドア・ドライサー, シオドア・ドライザー, シオドー・ドライサー, シオドー・ドライザー, セオドア・ドライサー, セオドア・ドライザー, теодор драйзер, The Dreiser Edition, Theodore Dreiser on October 20, 2016 by Roger W. Smith. a key source for “Sister Carrie”? However, the article would presumably be of interest to Dreiser scholars. It covers the Brooklyn trolley strike of 1895, which Dreiser drew upon for the plot of Sister Carrie. In chapters XL and XLI of Sister Carrrie, the strike is described in great detail. Hurstwood, who is at first sympathetic to the strikers, becomes a scab out of desperation to find employment. He works as a trolley car motorman for a single day, and is subject to obloquy and physical abuse by strikers and their sympathizers. It is not downloadable except for a fee and with permission of the publisher. This entry was posted in bibliography/bibliographical, Sister Carrie and tagged シオドア・ドライサー, シオドア・ドライザー, シオドー・ドライサー, シオドー・ドライザー, セオドア・ドライサー, セオドア・ドライザー, Brooklyn trolley strike 1895, Hurstwood Sister Carrie, теодор драйзер, Sarah M. Henry, Sarah M. Henry The Strikers and Thier Sympathizers, The Strikers and Their Sympathizers, Theodore Dreiser on October 15, 2016 by Roger W. Smith. See downloadable Word document above. Lorenzo A. Hopkins (aka L. A. Hopkins; 1847-1897) was the real life counterpart of the character George Hurstwood in Dreiser’s novel Sister Carrie. Gertrude Amelia Hopkins (1894-1973), Theodore Dreiser’s niece, was the daughter of Dreiser’s sister Enema Dreiser (1863-1936). Emma was the real life counterpart of, and model for, the lead character in Sister Carrie. Theodore Dreiser’s first novel, Sister Carrie, was based on real people and incidents: Dreiser’s sister Emma; and, Emma’s lover L. A. Hopkins with whom she eloped after Hopkins, a married man, stole money from his employer in Chicago. In the novel, Carrie Meeber’s lover, George Hurstwood, commits suicide. Very little has been known hitherto about the identity of L. A. Hopkins, the real life model for Hurstwood, or what became of him after he and Dreiser’s sister Emma, the model for Carrie Meeber, settled in New York City. This article provides information about Hopkins and his death. It also provides information about the life of Dreiser’s sister Emma after Hopkins’s death and about the children of Hopkins and Emma; they had two children whom Dreiser met in 1894 when he first visited New York City: George Nelson and Gertrude Hopkins. The former, George Nelson, did not relate to Dreiser in later life, though in his youth he had some contact with Dreiser’s brother Paul Dresser. The latter, Gertrude Hopkins, was Dreiser’s favorite niece. This entry was posted in biographical (including posts with fragmentary but potentially useful biographical information about Dreiser, his family, or associates), Dreiser's family and relatives, original posts (in-depth articles) by Roger W. Smith, Sister Carrie and tagged シオドア・ドライサー, シオドア・ドライザー, シオドー・ドライサー, シオドー・ドライザー, セオドア・ドライサー, セオドア・ドライザー, Emil Dorn, Emma Dreiser, Emma Wilhelmina Dreiser, George K. Nelson, George Kates Nelson, Gertrude A. Hopkins, Gertrude Amelia Hopkins, Gertrude Dorn, Gertrude Hopkins, Gertrude Hopkins Dorn, Gloria Vevante, Judy Kroehler, Judy Nelson Kroehler, L. A. Hopkins, Lorenzo A. Hopkins, теодор драйзер, Roger Smith, Roger W. Smith, Theodore Dreiser on October 8, 2016 by Roger W. Smith.